"This is BZPower, and all new sets are greeted with a barrage of criticism. It's tradition." BZPower is the largest unofficial BIONICLE website with forums in existence. 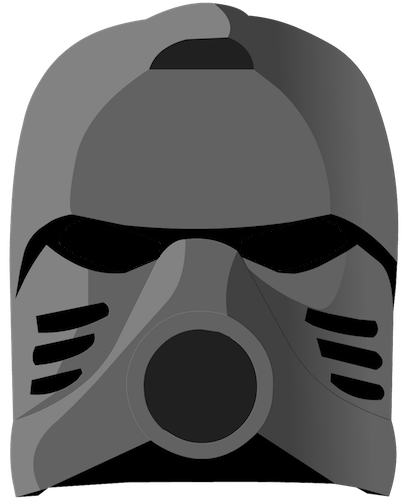 BZPower was once two of the largest unofficial BIONICLE websites, Kanohi-Power.com and BZCommunity.com. BZCommunity's founder and administrator was Jon, with Kelly and Rich serving roles as admins as well. On Kanohi-Power.com, Mike was the founder while Rich and Kelly were staff members. Both websites worked with each other, giving each other news and updates alongside other things. The four admins worked so well together, that in May 2002 they started working on merging the sites. On July 20, 2002, the two sites were joined to create BZPower.com. When on BZPower, members can discuss BIONICLE-related topics. Members can also show their MOCs (My Own Creations; these are BIONICLE models made by the members) or BIONICLE art to others, vote, or join various contests. There is also a "LEGO General Discussion" forum where members can discuss any form of LEGO rather than just BIONICLE, and a "Completely Off Topic" forum that allows members to discuss subjects other than LEGO or BIONICLE. In the library section, members can also write short stories, serial epics or comedies, provided that they are BIONICLE-related. On April 1, BZPower traditionally holds a prank in accordance to the April Fool's Day custom, often taking the form of a news post. For example, the 2008 joke featured an announcement that LEGO planned on expanding its book range, with books such as Cookin' with Makuta. Also, on July 20, the anniversary of BZPower's creation, all members are given Premier Membership abilities for one week to celebrate and as a gesture of thanks for making the site a success. BZPower also hosts BIONICLE Based Creations, Artwork, RPG, Epic, Short Story, and LEGO System contests sporadically. Each contest typically has a theme, such as the 2002 Halloween Art Contest. One of the more prominent contests was one in which members designed their own skin to be used on the website. Though several skins won, only one, Vahkipower, inspired by BZPower's 2004 April Fools Day prank, was added to the site. BZPower also holds occasional Storyline and Theory contests in which the winners' stories or creations may become part of the official canon. These contests are approved by BZPower member and BIONICLE author Greg Farshtey under the screen name "GregF", who also answers storyline questions the members may present him via the personal messaging system in a similar style to BIONICLE.com and BIONICLEstory.com's "Ask Greg" service. BZPower's regular news posts vary greatly. The vast number of these are general BIONICLE news, such as new books or sets shipping, web serial updates and any big news Greg Farshtey announces through his blog. There are also periodic posts in which staff voice their opinions ranging from set reviews to addressing members on recent set criticism, as well as site information explaining recent happenings like forum maintenance, site-ran contests and welcoming new staff members. BZPower also has an official mascot known as Hapori Tohu, a floating head that resembles a maskless Toa head with two golden gears behind it. It is often referred to as "the heart of BZPower" and as talking in third-person. Hapori Tohu has its own account and can be seen in the top left hand corner of the site when the default or classic skin is used. Hapori Tohu also has an arch-enemy on the site, known as Hapori Dume. He once "took over" the site as part of the 2004 April Fools Day prank. He, too, has his own account. Both accounts were created by the Head administrators. On August 9, 2007, Kelly resigned from his position as Administrator. He became the webmaster of BIONICLE.com while Leah Weston Kaae was on maternity leave, and continues to work with her now that she has returned. On March 19, 2009, Rich resigned from his position as Administrator due to a job he took. Today, BZPower has over 47,000 members, and is the largest unofficial BIONICLE website existing with forums. BZPower has a system of Premier Membership to help pay for the site. Premier Membership costs 7 USD for six months, 11 USD for one year, and 35 USD for Lifetime. Premier Members are given the Premier Member group affiliation, custom member level images, an exclusive "Premier Member" indicator in the forum view, file attachments in all forums, ability to start polls, ability to create topics in the Bionicle Games & Trivia forum, ability to create a personal blog, a BZPower.com vanity email address forwarder, five times the standard private message storage capacity (1000 vs. 200), ability to upload a custom avatar directly to BZPower (90kb filesize limit), 45 days between name changes instead of 90, the ability to vote in the Set Database, and a Proto Energy boost (based on the length of the Premier Membership purchase). BZPower has a merit-demerit system in the form of Proto Energy. It can be gained for doing generally helpful things like reporting things like spam, trolling, or flaming; helping new members; etc. One can lose Proto Energy for a variety of reasons, including spamming, trolling, flaming, being hateful to staff, etc. When all Proto Energy is lost, the member will be suspended or banned. Upon acquiring full Proto Energy, the member is moved to the Outstanding BZPower Citizens member group. BZPower used to give Copper Masks of Victory to new Outstanding Citizens, but had to stop after they ran out. BZPower hosts a comprehensive database of all sets released for BIONICLE. Managed by its Reference Keepers, the Set Database provides basic information on BIONICLE sets and combiners, including promotional sets and collectible packs. It provides images and information on its relationship to storyline, release date, availability, main colors, collectibles included, link to the set review and much more. BZPower's Premier Members have the ability to rate each set in the database on a scale from 1-10 as well, and the resulting average viewable to all members. Whilst not an official aspect of the site, BZPower is well known for the fads its members will take to every so often. One of the more famous fads was the "Plushie" fad that BZPower member Mahalis popularized further with his Auto Plushie Generator. For some time, and in some topics still to this day, many sprite comics, comedies and serial epics used the idea of living plushies to create comedic characters. Another well known fad resulted in the making of literally hundreds of "cute MOCs", which many attribute to Authraw's Tuggles. The BZPower staff is also well known for beginning their own fads. Admins will often change the staff members' display names to characters from popular comic books or television series, such as Spider-Man, My Little Pony, and Transformers. BZPower's server once hosted BIONICLEsector01. This page was last edited on 14 April 2018, at 16:16.